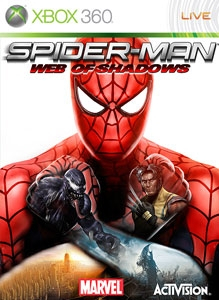 The Xbox 360 Games on Demand version of Spider-Man: Web of Shadows was confirmed delisted on January 1, 2014. “With a story penned by acclaimed Marvel comic book writer, Brian Reed, the title features a New York City devastated by a deadly symbiote invasion, in which players are faced with the choice to play the heroic web-slinger in his classic, agile red suit or the dark, formidable black suit. Battling with or against a huge cast of fan-favorite Marvel Super Heroes and Super Villains, gamers can switch allegiances instantly as they decide which missions will ultimately save mankind.